Working with children, although rewarding, can also been quite tricky. Capitalise on your Brunch Menu! Over the last few years brunch has arguably become one of the most on trend meal occasions, with UK consumers spending a staggering average of £76 million every day on breakfast or brunch out of home. 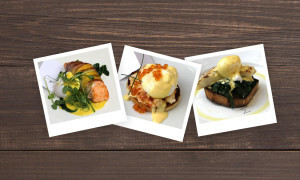 Kerrymaid Hollandaise is an incredible tasting, ready to use sauce, that is extremely versatile. This sauce is created by chefs, for chefs and is designed to save time, ensuring that you can still deliver great taste and flavour to your dishes. On Tuesday January 30th, we sponsored the National Breakfast Awards, an exciting cooking competition where chefs from all over the UK came together to compete for the title of Best Breakfast Chef of the year. 16 shortlisted finalists entered the kitchen of Westminster Kingsway College, London, and prepared stunning dishes for a panel of expert judges.